We are truly shocked and saddened to hear of the passing away of John McHugh on the eve of his 24th birthday.Rest in peace John. John McHugh presenting Jack Ranson with the cheque with funds raised by The Belvedere Junior Union Panda Cup for Team Jonathan Ranson. John was president of the Belvedere Junior Union and done enormous work to support Jonathan with the Panda Cup this year. John was a true gentleman and we feel it was a massive privilege to have been fortunate enough to work with him. Our hearts go out to his family and friends at this tragic time. 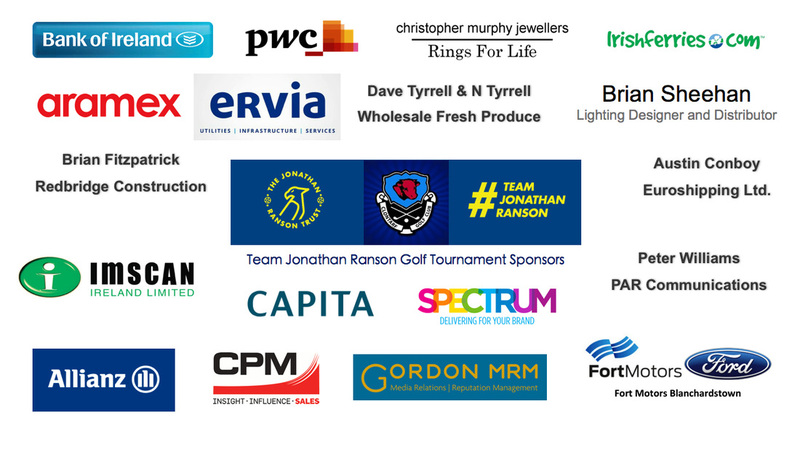 A massive THANK YOU to the travel companies below for the huge time and effort they put into making the super travel draw a reality. Please click on logos and see what these travel companies can do for you! A huge THANK YOU to Niall and the Creative Inc team for creating an exciting brand identity for TJR! This distinctive and eye-catching brand (with a nod to a certain football club), will help raise our profile as we continue our critical fundraising efforts. It’s already featuring on T-Shirts and buckets while we work on wrist bands and lots more to come. The whole brand has enlivened our new website, twitter account and facebook page and truly captures Jonathan’s powerful spirit and determination to improve the quality of his life – “reach your full potential”. NeuroFit360 exists to challenge the status quo. Our mission is to use skilled physical therapy interventions to push the boundaries of preconceived notions towards physical abilities after severe neurological injury. In 2009, Dr Guy Romain, PT, DPT realized there was a need that had to be fulfilled. Clients in traditional rehabilitation had nowhere to go after being discharged from the hospital and outpatient care. After years of helping people after spinal cord injury, stroke, traumatic brain injury, cerebral palsy, and more; Dr Romain realized he had to fill this gap in rehabilitative care.